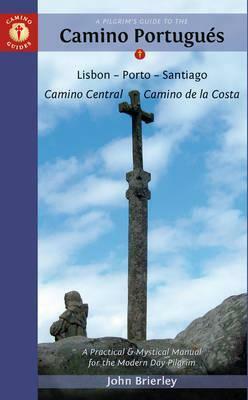 Updated to include newer maps and photos and weighing less to support carefree traveling, the latest edition in these comprehensive guidebooks to the Camino de Santiago and its offshoots contains all the information needed by modern-day pilgrims wishing to walk the sacred Way of Saint James. Overview route planners plus all 23 daily stage maps and detailed town plans help sojourners with as much advance preparation as they need. The completely redone maps feature contour guides to help distinguish the terrain that will be crossed each day, while full information on all pilgrim hostels, as well as details for alternative accommodation, allow travelers to plot adequate nightly stopping points. All reference information is accompanied by helpful spiritual guidelines to support the seeker's inner journey as well as the outer pilgrimage. For travelers who wish to walk the coast of Portugal, this volume has been expanded from its previous edition to cover the entire pilgrimage from Lisbon to Porto to Santiago. John Brierley is a former chartered surveyor whose abiding passion has become the promotion of business sabbaticals and pilgrimages as a way to reappraise life's purpose. He is the author of "Camino Portugues Maps Mapas Cartes", "Camino de Santiago Maps Mapas Cartes", and "A Pilgrim's Guide to the Camino de Santiago" as well as "A Camino Pilgrim's Guide Sarria - Santiago - Finisterre".